Great Leadership: The May Leadership Development Carnival is up! The May Leadership Development is up! This month's Carnival is hosting by Becky Robinson at her blog Weaving Influence. 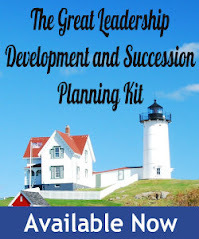 Becky and Carrie did an outstanding job of pulling together 34 recent leadership development posts from a diverse group of leadership experts. She's also including their Twitter handles, so be sure to follow them and add them to your leadership lists.